The labrum is a cup shaped rim of fibrous tissue that gives stability to the shoulder joint. It is where the ligaments and tendons attach to enforce the stability through a range of movement. It can become torn at any point in its position in the shoulder’s shallow socket and ball structure. They can occur as part of natural wear and tear of the aging process. The main symptom is a pop or caching sensation during certain movements followed by an ache that can last several hours. The damage may not cause any pain but may result in the shoulder feeling loose. A doctor can pinpoint a labral tear from medical history and physical examination. MRI scans can determine the exact site and extent of the tear and its influence on tendons and muscles. The tears are graded by severity and the point in the labrum which is damaged. A Type I tear, which involves a fraying of the labrum, are normally treated by targeted physiotherapy which restores lost motion and conditions the shoulder anatomy to work more efficiently and allow the tear to heal. A Type II tear is when the labrum detaches from the bone and an arthroscopy – a minimally invasive surgical procedure on the joint – which allows consultants to place anchors on the bone so the labrum can be stitched back and heal in the correct position. This is generally an outpatient procedure with the patient able to return home on the same day with follow-up physiotherapy appointments to ease the shoulder back to normal function. To ask a question about a labral tear or to book an appointment, contact our specialist team available Monday – Friday 8am – 6pm. 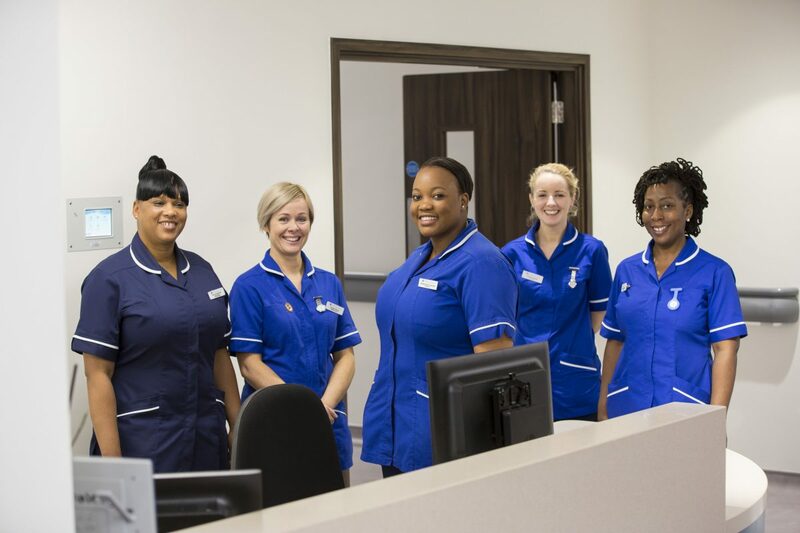 Our shoulder team have a dedicated and caring approach and will seek to find you the earliest appointment possible with the correct specialist for your needs.